The national restaurant chain “Benihana’s” at 912 Ridge Lake Blvd, Memphis, TN, is the sore subject of horrible customer service being the worst that you could imagine. The restaurant wasn’t busy but took an unnecessary amount of time for my party to be seated. This alone went a long way toward explaining why the restaurant was emptying out so quickly. Once we were seated the disappointment continued. First we are informed no fire tricks will be performed due to insurance purposes. 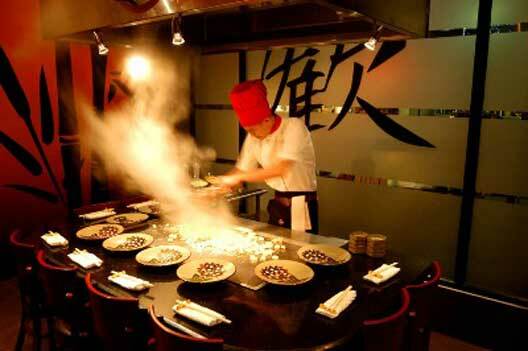 All I can say is “Wow!” I have never been to a Japanese Steakhouse that didn’t allow fire tricks for “insurance reasons.” Everyone knows that besides the great food one of the most popular features of a Hibachi grill are the fire tricks. Parents bring their children to these steakhouses for that purpose alone. So we move on from that disappointment to find out the famous Yum Yum sauce is not served in this location. No Yum Yum sauce!! Yum Yum sauce is simply mayonnaise and a variety of seasoning. I do not blame the franchise but the management of this location for trying to squeeze 50k out of a nickel, just piling on the unfortunate surprises. I wont be returning to this location again. I must add that Chef Danny was definitely a delight. He was a new addition to the Memphis Benihanas team, but his skill showed otherwise. Cooking for a table of 7, including one toddler, was done with ease and with much pride in his presentation. Everyone was full to capacity and very satisfied.